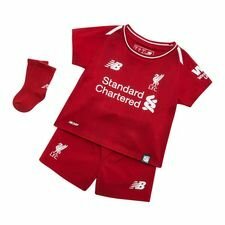 Today, New Balance has officially revealed the new 2018/19 Liverpool FC home kit. 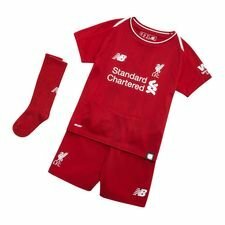 The kit launches the new LFC campaign for 2018/19, “This Means More”, which encapsulates the feelings that all LFC fans around the world share about the club and how they feel when they pull on the LFC shirt. Dig in! It's safe to say that things are going pretty well in Liverpool right now. The club has reached to Champions League semi final for the first time in 10 years, and this time Klopp and Co. actually also have a good chance of making it all the way to the final in Kiev. With the help of the best transfer of 2017, Mo Salah, and his 30 Premier League goals (so far), Liverpool has surprised everyone not only in the Champions League, but also in the best English league, where the Reds seem to have locked in that Champions League spot for 2018/19. Sky's the limit for Liverpool in this year's UCL and next season in particular. And today, New Balance has officially revealed the new Liverpool FC home shirt 2018/19 to inspire players and fans with the “This Means More” campaign. 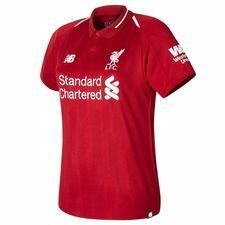 New Balance has continued using the darker red colour - the 'Red Pepper' tone - for the Liverpool home shirt, and once again it's a beautiful result! The Liverpool FC home kit 2018/19 has been engineered using innovative NB DRY technology. The shirt wicks moisture away from the skin to help keep players fresh and dry from first to final whistle. 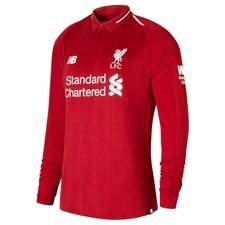 The 2018/19 Liverpool home kit incorporates a jacquard linear graphic to the front of the shirt, reflecting the architecture of Anfield’s Main Stand. “The launch of our new kit is always really exciting. I really like that the colour has continued from last season, and the pattern gives it a really strong look. I am sure that the fans will really like and embrace it for next season,” says Liverpool FC club captain Jordan Henderson. Continuing with the Red Pepper tone, back by popular demand following the success of the 125th Anniversary home kit, the shirt also features top shoulder bonded tape, embroidered crest and a tipped two button polo collar. To commemorate the tragic events of Hillsborough, the 96 emblem, encased by the eternal flames sits at the nape of the neck. 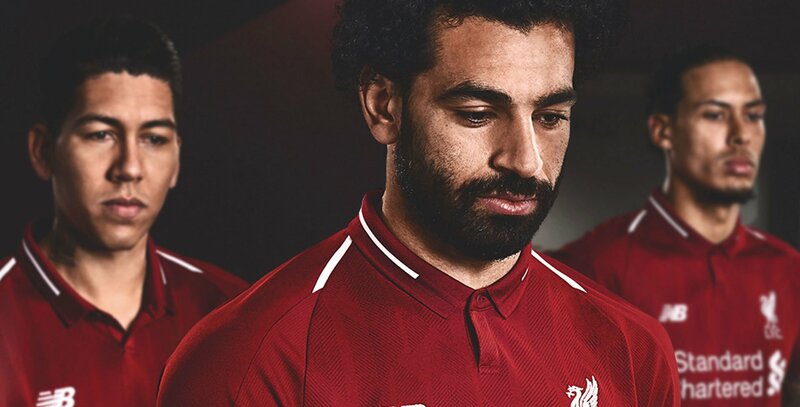 All in all, gorgeous details from New Balance, and we can't wait for the new season and for Liverpool other 2018/19 kits! 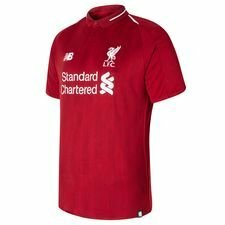 Are you as hyped about the Liverpool home shirt 2018/19 as we are? 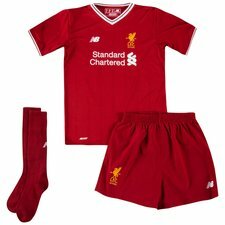 Then pre-order your kit right here and be ready for next season and the final stages of the UCL.